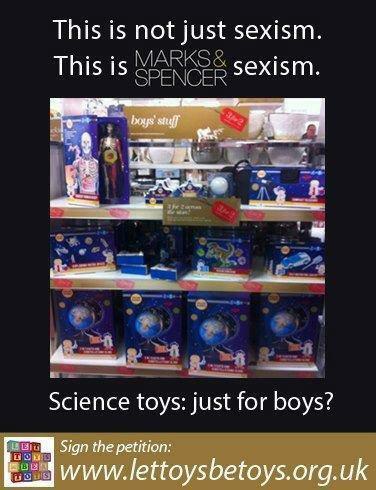 This entry was posted in Chemistry in the media, Political and tagged boots, chemistry, girls, Hamleys, Let Toys be Toys, Marks & Spencer, toys, Watchdog by katlday. Bookmark the permalink. 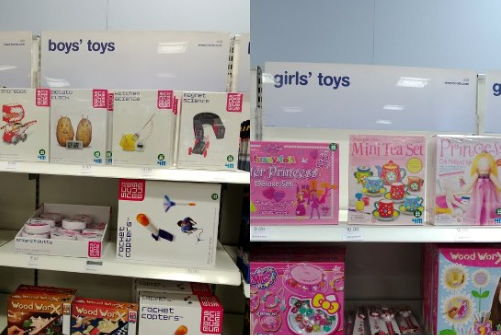 I never understood the need to label sections “boys” and “girls”. 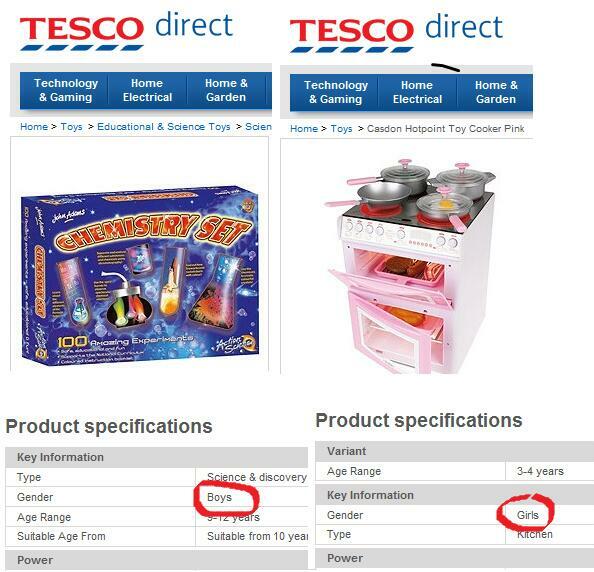 Certainly, there will be some toys that will be preferred by girls, and some that will be preferred by boys, but why must the store or the manufacturer make that decision? It’s not science, but I saw this in a store in Toronto recently and couldn’t believe it: Monopoly Pink Boutique, a Monopoly game made specially for girls! You get to buy spas and jewelry stores, boutiques and malls instead of houses and hotels, and Instant Message and Text Message cards instead of Chance and Community Chest! 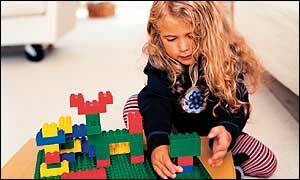 (2) she likes playing the same version of Monopoly as everyone else.